Monaco, a symbol of exclusivity, luxury, security and prestige was the perfect setting for unveiling the TAG Heuer Connected in 18K rose gold, a world-exclusive launch to coincide with the most glamorous of the season’s Grands Prix, with TAG Heuer as Official Timekeeper. Despite this, it has the elegance, characteristics and level of finish expected from a fine wristwatch. It is a luxury watch which benefits from over 150 years of expertise, savoir-faire and heritage as cultivated by TAG Heuer, a watch manufacture based in La Chaux-de-Fonds, the cradle of Swiss watchmaking and a UNESCO World Heritage site set at an altitude of 1000 metres, in the middle of Alpine pastures and mountains. Here, watchmakers have been spending the winter in their workshops (in summer, they farm in the pastures) since the 18th century, inventing incredible watches which have built the unique reputation and extraordinary image of quality and exclusivity that Swiss watches enjoy the world over. 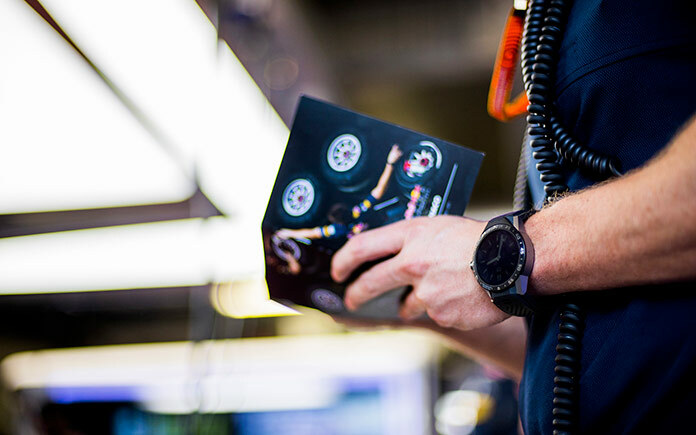 At 46 mm in diameter, the design of the TAG Heuer Connected is primarily that of a classic watch. 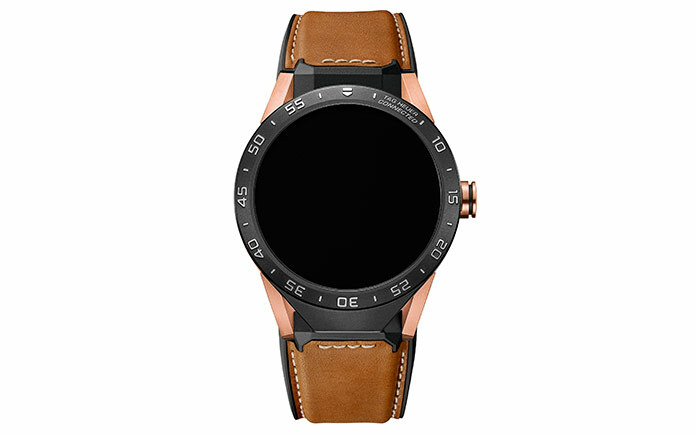 Featuring 4GB of memory and a latest-generation lithium battery providing an entire day of autonomy, the TAG Heuer Connected is fitted with a small microphone enabling the wearer to communicate with it using Google Voice control, as well as a sapphire crystal touchscreen, to be used alongside the command push button at 3 o’clock. The whole IP67-certified watch is designed to be water-resistant for everyday wear. The watch can be synchronised with a mobile phone operating on Android 4.3+ or iOS 8.2+. It is recharged using a contact charger. Simply place the watch on top to recharge it. The watch also comes with a two-year warranty. This is the same as the standard warranty that TAG Heuer offers for its watches. 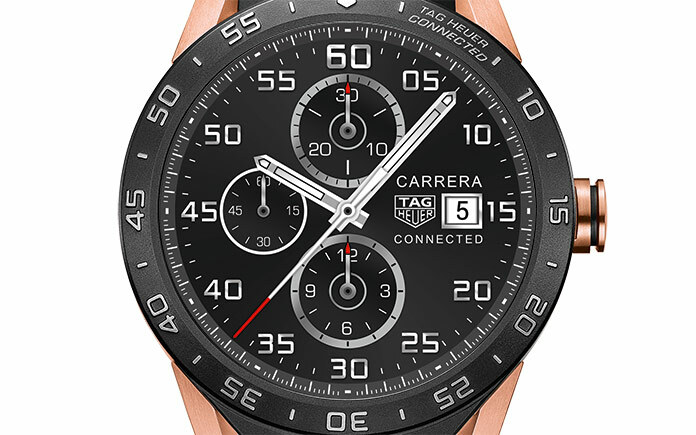 Finally, anyone who purchases a TAG Heuer Connected watch will have the option to exchange it for a mechanical watch incorporating a real Swiss watch movement. 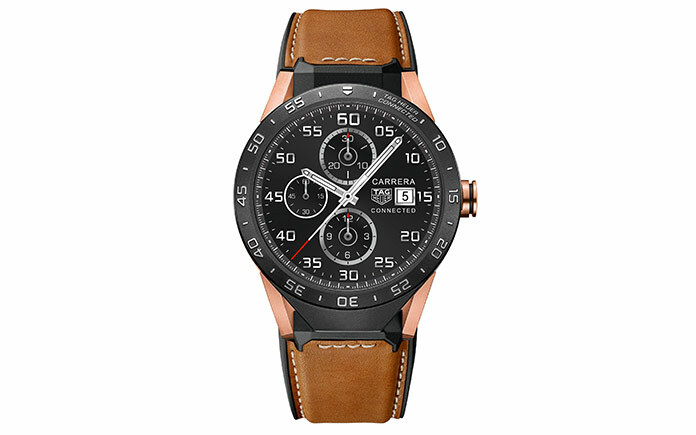 After the smartwatch’s two-year warranty expires, owners can go to the TAG Heuer boutique of their choice to exchange their TAG Heuer Connected watch for a Swiss-Made Carrera Calibre 5 mechanical watch. 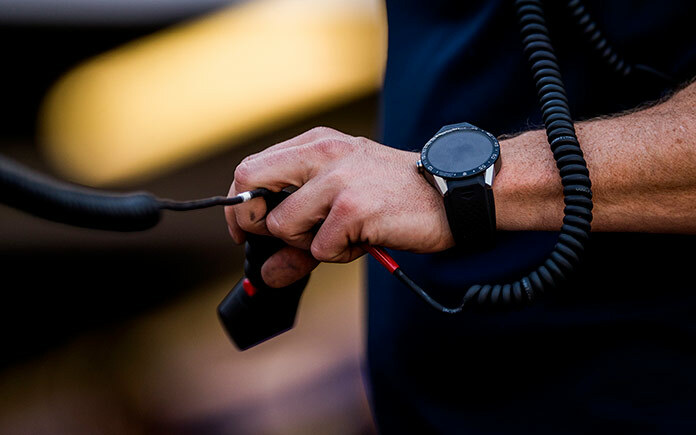 Featuring an identical design and also made from grade 2 titanium, this mechanical watch has been exclusively developed for and made available to owners of TAG Heuer Connected watches.